A warm, shushy and unhip boudoir-like bar with patterned walls, chandeliers, stained glass and disco balls — a haven for cabaret-minded locals. Music veers from Dutch pop and Eurovision to German Schlager. Marcel Brunsveld took over the space in April 2015 and breathed new life into the establishment while changing very little except the name (from Café Rouge to Dubbel D). Same attitude, same deference to kings and queens, but with a little twist. Slight tweaks and renovations due summer 2015. 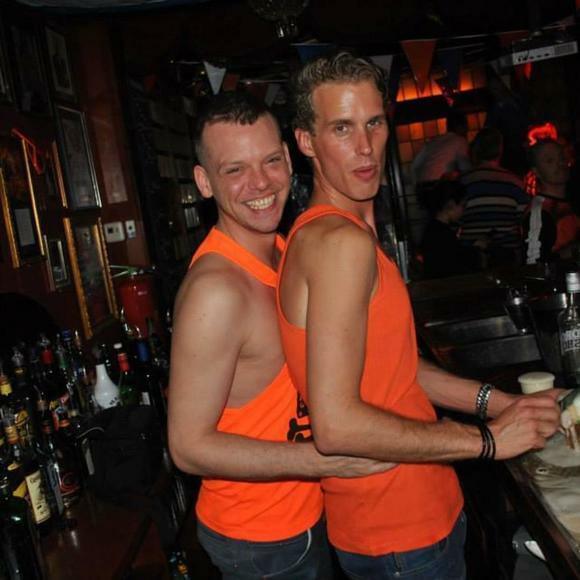 Closed 2015, reopened October 2015 as Queers Café.